The MaxScan JP701 code scanner is specially designed for technicians to troubleshoot Major Japanese Vehicle Systems. Powered by Autel Uni-SCAN? technology, the MaxiDiag? EU702 is an innovative multi-functional scan tool designed for technicians to troubleshoot engine, transmission, ABS and airbag systems for major European vehicles. Reliable, easy-to-use and affordable, the MaxiDiag? EU702 is a time saver and a money maker! 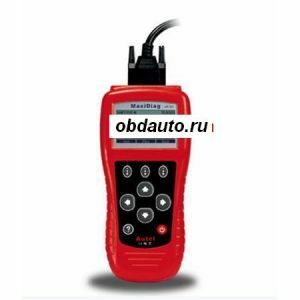 Easy to use affordable tool for Technicians and DIY Car owners.